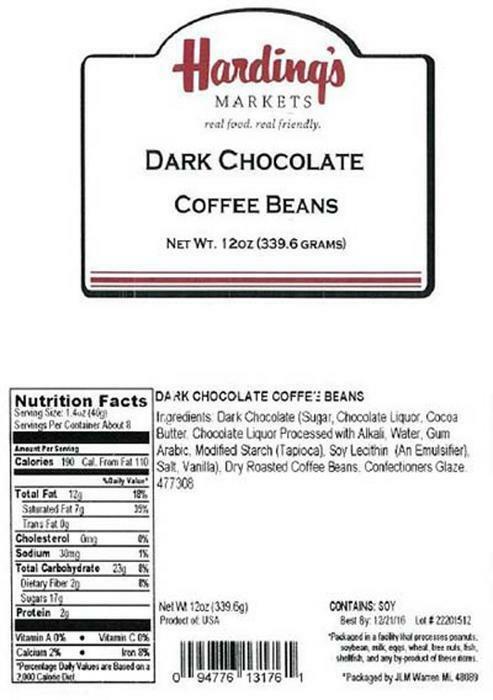 Lipari Foods is recalling dark chocolate covered coffee beans packaged by sister company JLM. The products may contain almonds, an allergen not listed on the label. There are no reported illnesses in connection with these products to date. The products were distributed to retail stores throughout Indiana, Kentucky, Michigan, Ohio, Pennsylvania, Tennessee, Wisconsin and West Virginia. The recalled products were distributed to retail stores in Indiana, Kentucky, Michigan, Ohio, Pennsylvania, Tennessee, Wisconsin and West Virginia. Customers who purchased the recalled products should not consume them, but return them to the place of purchase. Consumers with questions may call customer service at 800-729-3354 from 8:15 am - 4:30 pm (EST), Monday through Friday. 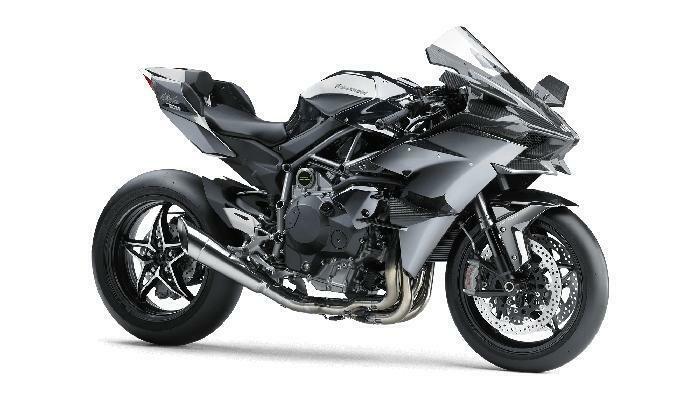 Kawasaki Motors U.S.A. is recalling 805 model year 2016 Ninja ZX-10R and Ninja ZX-10R ABS motorcycles, models ZX1000RGFAL, ZX1000RGFL, ZX1000SGFAL and ZX1000SGFL, manufactured October 28, 2015, to January 18, 2016. The steering damper bracket mounting bolts may break due to being over tightened. If the steering damper bracket mounting bolts break, the steering damper bracket would detach and could interfere with steering the motorcycle, increasing the risk of a crash. Kawasaki will notify owners, and dealers will replace the steering damper bracket mounting bolts, free of charge. The recall is expected to begin February 29, 2016. Owners may contact KMC customer service at 1-866-802-9381. Kawasaki's number for this recall is MC16-03. Forest River is recalling 52 model year 2016 Wildcat recreational trailers, models WCF28SGX, WCF29RKP, WCF29RLX, and WCF31SAX, manufactured from September 25, 2015, through January 20, 2016. The recalled vehicles may have been produced with an incorrect federal placard that has an improperly reduced Gross Axle Weight Rating (GAWR) of 3500lbs. The correct GAWR is 5200lbs. As such, these vehicles fail to comply with the requirements of 49 CFR Part 567, "Certification." Incorrect could lead to reduced handling of the vehicle, potentially leading to loss of control or a crash. Forest River will notify owners, and dealers will provide a corrected federal placard, free of charge. The recall is expected to begin March 28, 2016. Owners may contact Forest River customer service at 1-574-862-2071. Forest River's number for this recall is 23-01262016-0131. 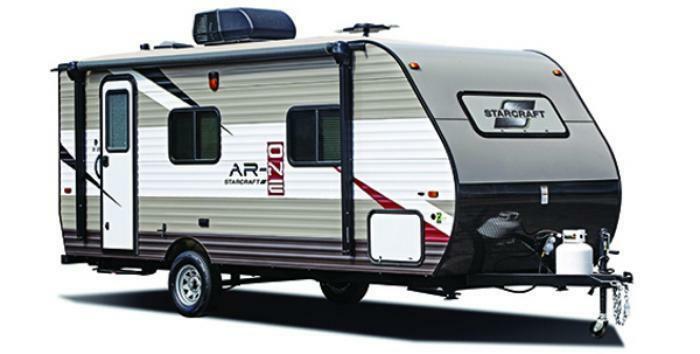 Starcraft RV is recalling 21 model year 2016 AR-One toy hauler trailers, model 17XTH, manufactured from October 28, 2015, through January 19, 2016. The recalled trailers may be equipped with labels that indicate incorrect tire size and tire inflation information. As such, they fail to comply with the requirements of Federal Motor Vehicle Safety Standard (FMVSS) number 119, "New Pneumatic Tires-Other than Passenger Cars." If the tires are replaced with an incorrect size and pressure, the handling of the trailer may be adversely affected or tire failure may occur. Either condition increases the risk of a crash. Starcraft will notify owners and mail them corrected labels, free of charge. The recall is expected to begin February 29, 2016. Owners may contact Starcraft customer service at 1-800-945-4787. Starcraft's number for this recall is 9902260. Wilderness Family Naturals of Silver Bay, Minn., is recalling its Wilderness Family Naturals Organic Coconut Milk Powder and other products. The products may contain milk, an allergen. The products are safe for consumption by those who do not have an allergy or severe sensitivity to milk. 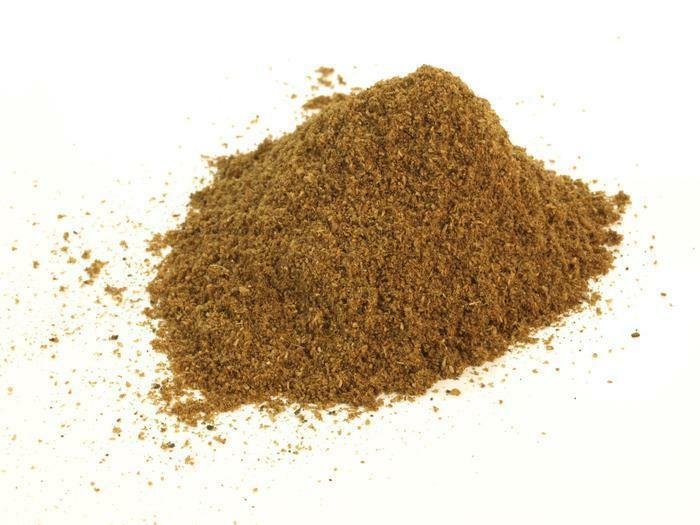 Hot Chocolate Mix – Organic – 1 lb., 12 lb., 5 lb., and 30 lb. Coconut Chia Pudding Mix – Organic – 1.1 lb and 13.2 lb. Coconut Chia Pudding Mix – Sweetened with Coconut Sap Sugar – Organic – 1.1 lb. and 13.2 lb. Banana Blueberry Cereal – Organic – 8 oz. Customers with an allergy or severe sensitivity to milk who have purchased the recalled products should consume them but dispose of them. Consumers may contact the company for a refund at (800) 945-3801 or by email at info@wildernessfamilynaturals.com. The company will be sending recall notices to all of its direct customers. 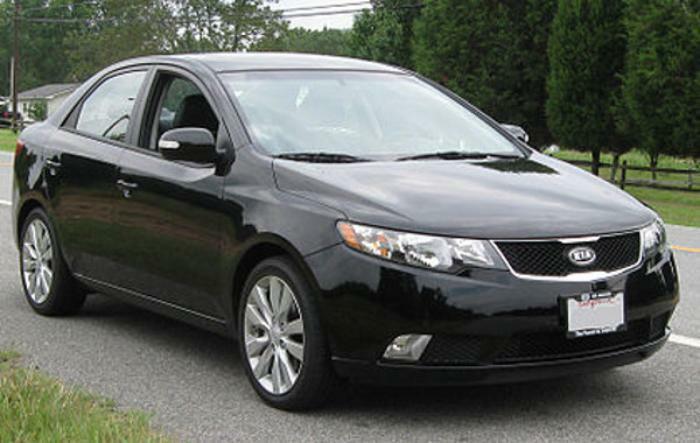 Kia Motors America is recalling 10,240 model year 2011 Forte vehicles manufactured August 27, 2010, to November 11, 2010. The recalled vehicles have a transmission fluid cooler hose that may have been improperly manufactured, resulting in a transmission fluid leak. Kia will notify owners, and dealers will replace the transmission cooler hose, free of charge. The recall is expected to begin March 30, 2016. Owners may contact Kia customer service at 1-800-333-4542. Kia's number for this recall is SC129. The recalled product comes in a clear and yellow plastic package, with no expiration dates and lots number. Seven-ounce packages are marked with UPC number 714760027497and the 14-ounce packages are marked with UPC number 714760027503. It was sold in retail stores in New York, Connecticut, New Jersey, Massachusetts, Pennsylvania, Delaware and Virginia. Customers who purchased the recalled product should return it to the place of purchase for full refund. Consumers with questions may contact the company at 1-732-650-1300 Ext 222, Monday – Friday 9 a.m. – 5 p.m. (EST). Fresh Creative Foods is recalling 8-oz containers of H-E-B Tartar Sauce. The product may contain anchovy, an allergen not listed on the label. 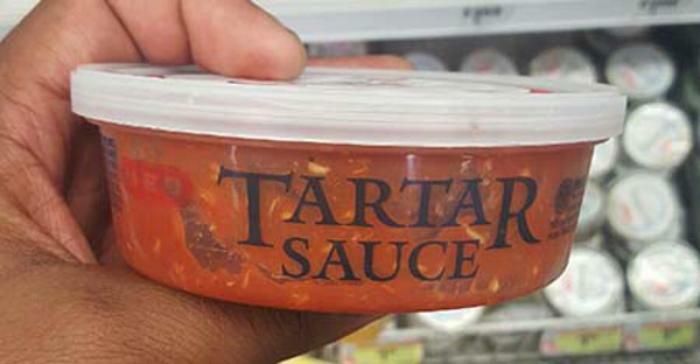 Some plastic tubs have the correctly labeled Cocktail Sauce lid with a container labeled as Tartar Sauce when the actual contents are Cocktail Sauce. There have been no consumer complaints or reports of allergic reactions at this time. The recalled product would have been purchased from an H-E-B Seafood Department in a clear 8-oz. container and lid with a "use by" date of 04/19/2016 on the bottom and a UPC of 41220 33244 on the side. It was distributed to H-E-B stores in Texas. Customers should return the recalled product to any H-E-B store for a full refund. Consumers with questions may contact H-E-B customer relations at 210-938-8357 or 1-800-432-3113 Monday through Friday between 8AM and 5PM (CT). Newmar Corporation is recalling 283 model year 2016 Ventana and Dutch Star vehicles manufactured March 19, 2015, to January 21, 2016 on Freightliner chassis. The recalled vehicles have an "Incomplete Vehicle Label" that incorrectly lists the maximum front tire inflation level to be 130 pounds per square inch (psi), when the correct level is 120 psi. If the tire is overinflated due to the incorrect label, it may unexpectedly fail, increasing the risk of a crash. Newmar will notify owners, and Freightliner will provide a corrected label, free of charge. The recall is expected to begin on March 26, 2016. Owners may contact Newmar customer service at 1-574-773-7791. 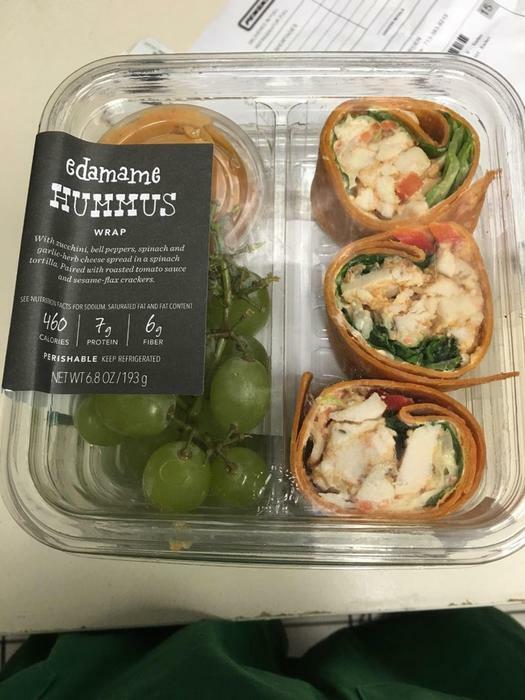 Flying Food Group of Grapevine, Texas, is recalling approximately 1,006 pounds of Edamame Hummus Wrap products. The products are mislabeled and may contain Thai Style Chicken Peanut Wraps, which are formulated with peanuts and tree nuts, allergens not listed on the label. The recalled products do not contain an establishment number on the label, as the Edamame Hummus Wraps are regulated by the U.S. Food and Drug Administration (FDA). They were distributed to retail locations in Texas and Oklahoma. Customers who purchased these products should not to consume them, but throw them away or return them to the place of purchase. Consumers with questions about the recall may contact Dr. Paul A. Hall at (678) 522-1855. Mazda North American Operations is recalling 268,799 model year 2014-2016 Mazda CX-5 vehicles manufactured June 27, 2013, to February 2, 2016. The recalled vehicles have a fuel filler pipe that may rupture in the event of a crash. As such, these vehicles fail to comply with the requirements of Federal Motor Vehicle Safety Standard (FMVSS) number 301, "Fuel System Integrity." A rupture of the fuel filler pipe could result in a fuel leak, increasing the risk of a fire. Mazda will notify owners, and dealers will alter the attachment between the fuel filler pipe and the left rear side of the bracket of the fuel filler pipe, free of charge. The recall is expected to begin March 1, 2016. Owners may contact Mazda customer service at 1-800-222-5500, option 6. Mazda's number for this recall is 9216B. Michaels Stores Procurement Company of Irving, Texas, is recalling about 289,000 Ashland holiday paper boxes. Mold can be present on the boxes, posing a risk of respiratory or other infections in consumers with compromised immune systems, damaged lungs or an allergy to mold. This recall involves Ashland gift and storage cardboard boxes covered in decorative paper. The boxes were sold in nine themes and have ribbon, burlap and other embellishments. Each of the three shapes of boxes, circle, square and rectangle were sold in three sizes, small, medium and large. Boxes with the following SKU numbers are included in the recall: 434397, 434398, 434399, 434458, 434459, 434460, 434465, 434467, 434468, 434470, 434471, 434472, 434474, 434475, 434476, 434479, 434480, 434481, 484483, 434484, 434485, 434487, 434488, 434489, 434490, 434492, 434493. “Ashland” and the SKU number can be found a label affixed to the underside of each box. The boxes, manufactured in China, were sold exclusively at Michaels stores nationwide from October 2015, through November 2015, for between $5 and $20, depending upon the size of the box. Consumers should immediately stop using the paper boxes and return them to any Michaels store for a full refund. Consumers may contact Michaels at 800-642-4235 from 9 a.m. to 7 p.m. (CT) Monday through Friday, or online at www.michaels.com and click on “Product Recalls” for more information. Goodman Company of Houston, Texas, is expanding its August 2014 recall of 233,500 Packaged Terminal Air Conditioner/Heat Pumps (PTAC) and Room Air Conditioners (RAC) by an additional 5,300 units. The company has received approximately 10 reports of PTACs catching on fire, including four involving property damage. 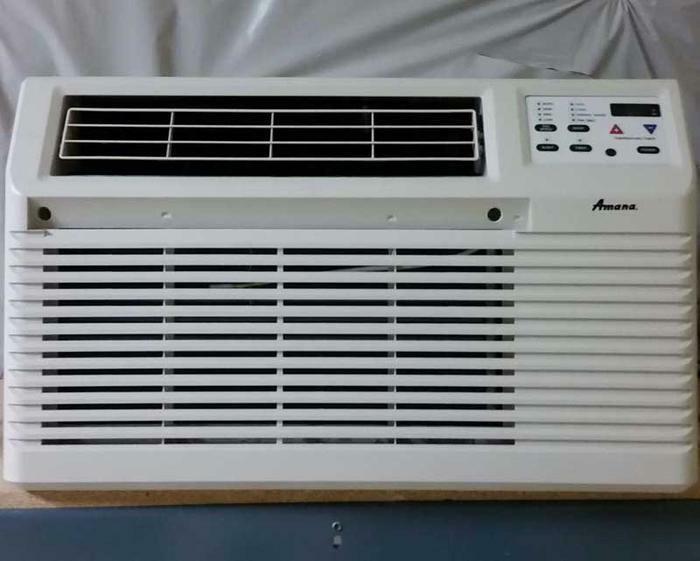 This recall involves Amana, Century, Comfort-Aire, Goodman and York International-branded Packaged Terminal Air Conditioners and Heat Pumps (PTAC), and Amana-branded Room Air Conditioners (RAC). The units are rated 230/208 volt, 3.5 kW and are most often installed through the walls of hotels, motels, apartment buildings and commercial spaces to provide room climate control. The RAC units are installed through the walls or windows of the same types of properties. The recalled units are beige and have serial numbers ranging from 0701009633 through 0804272329. The brand name is located on the unit’s front cover. The serial number is located on the label found by lifting the front cover of PTAC units or the grille of RAC units. Additionally, any PTAC and RAC units that have a beige power cord labeled with a four-digit date code in the MMYY format and ending in 06 or 07, or ranging from 0108 through 1808 are included in this recall. The PTAC and RAC units, manufactured in the U.S., were sold at Goodman and heating and cooling equipment dealers nationwide from January 2007, through June 2008, for between $700 and $1,000. Consumers should immediately stop using and unplug the air conditioning and heating units and call the number listed for their brand or go to www.amana-ptac.com to request a free replacement power cord. Non-commercial owners will receive free installation of the power cord and inspection of the PTAC control board for damages. If the control board has been damaged by the recalled power cord, non-commercial owners will also receive a free installation of a replacement control board. Commercial owners are being contacted directly and will install the power cord and inspect the control board. If the control board has been damaged by the recalled power cord, Goodman will provide a new control board for commercial owners to install. Recalled RAC units do not have a control board. For Amana, Goodman and York International-branded units, consumers may call 800-366-0339 from 8 a.m. to 5 p.m. (CT) Monday through Friday. For Comfort-Aire and Century-branded units consumers may call toll-free at 877-442-4482 from 8 a.m. to 5 p.m. (ET) Monday through Friday. For all products, go to www.amana-ptac.com and click on Recall Info at the bottom right corner of the page for more information. 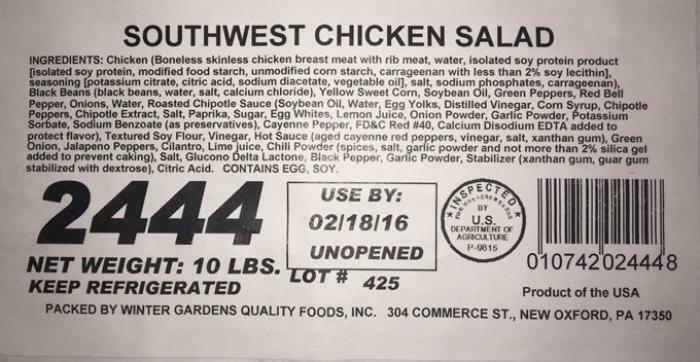 Winter Gardens Quality Foods of New Oxford, Pa., is recalling approximately 3,710 pounds of chicken salad products. The products may be contaminated with extraneous plastic materials. The recalled products bear establishment number “P-9815” inside the USDA mark of inspection and case code “2444,” and were shipped to a distributor in Pennsylvania for further processing and distribution. Consumers with questions about the recall may contact Lesli Kunkle at (717) 624-6052. Canyon Creek Soup Co., of Edmonton, Canada, is recalling approximately 7,275 pounds of meatball soup products. The products did not undergo federal import inspection, raising the possibility that adverse health consequences exists. 291 Cases - containing ten 2.56 lb. 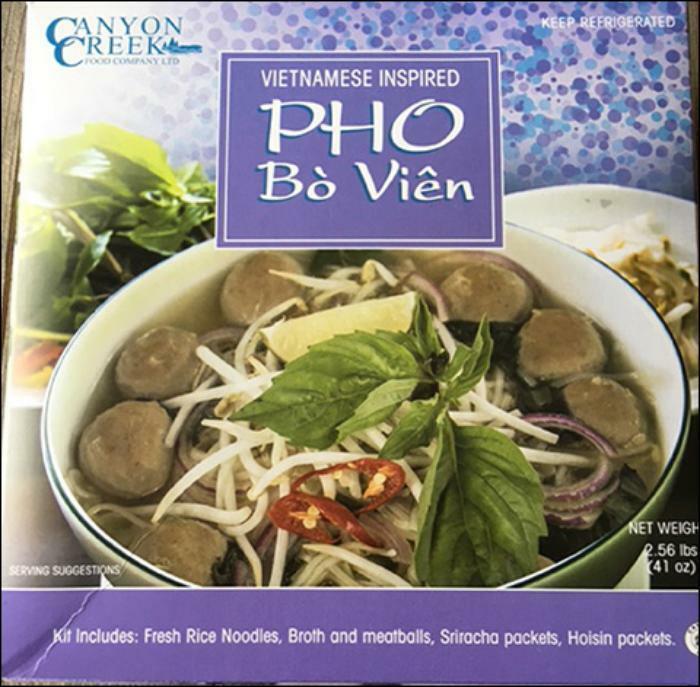 plastic soup package kits labeled “Vietnamese inspired Pho Bo Vein” containing broth with meatballs, rice noodles, sriracha packets, and hoisin packets bearing package code 16AL20 or 16AL24. The recalled products bearing establishment number “EST. 422” inside the USDA mark of inspection, were shipped to retail outlets in California. Customers who purchased this product should not consume it, but throw it away or returned it to the place of purchase. Consumers with questions about the recall may contact Terry Alty at (780) 463-2991. 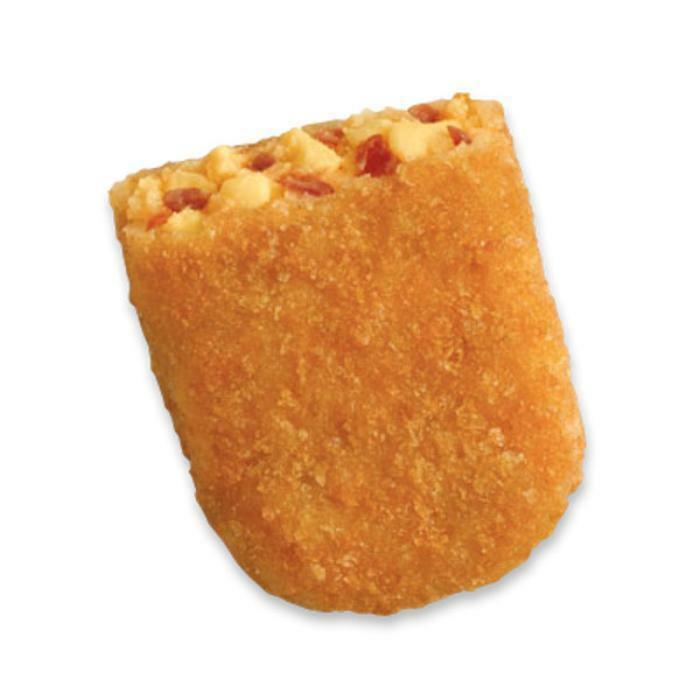 McCain Foods USA of Lisle, Ill., is recalling approximately 25,215 pounds of bacon fritters. The recalled products bear establishment number “EST. 18846” inside the USDA mark of inspection, and were shipped to food service distributors in Arkansas, Florida, Iowa, Indiana, Illinois, Kansas, Maine, Oklahoma, Ohio, Texas, Tennessee and Utah. Consumers with questions about the recall may contact Dana Hastings at (630) 857-4329. Crescent Point Energy Corp., of Canada is recalling about 118,000,000 gallons of propane gas in the U.S. and Canada. The propane does not have sufficient levels of odorant to help alert consumers of a leak. Failure to detect leaking gas can present fire, explosion and thermal burn hazards. 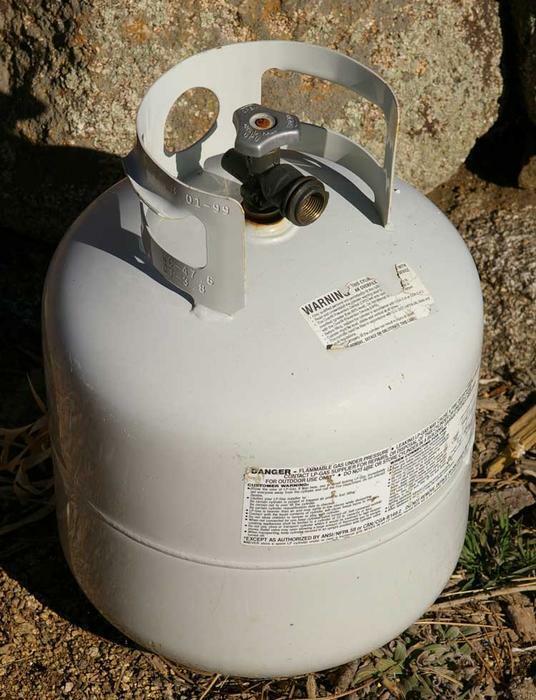 This recall involves under-odorized propane gas (LP) delivered to consumers for use in storage tanks or sold at retail locations for use in portable refillable tanks (for use in recreational vehicles, barbeques, stoves and other appliances). LP was also sold to businesses for commercial and industrial use. The propane, manufactured in Canada, was distributed in Arizona, Idaho, Kentucky, Minnesota, Montana, Nebraska, North Dakota, South Dakota, Washington, Wisconsin and Utah, delivered by various companies and sold by retailers between April 2009, and October 2015. Consumers should not attempt to test the propane themselves. Instead, they should immediately contact the retailer, supplier or Crescent Point Energy hotline to arrange for an inspection. If inspection confirms that the propane contains insufficient odorant, Crescent Point Energy will either promptly arrange for appropriate odorization or provide a replacement portable tank. Consumers should have carbon monoxide alarms in homes or other buildings that utilize gas. If consumers do smell even a faint odor of gas or a gas leak, they should immediately leave the building and call 911 or their gas supplier from a neighbor’s phone. Do not light a match, turn on a light or switch on anything electrical. Consumers may contact Crescent Point Energy toll free at 866-421-4266 from 9 a.m. to 5 p.m. (MT), by email at info@youandpropane.com or online at www.youandpropane.com for more information. King Soopers of Denver, Colo., is recalling its Gourmet Bread Pudding that is sold in their deli, either as a part of their cold meal solutions, or pre-packaged in the self-service deli case. The product may contain walnuts, an allergen not listed on the label. The company says one customer has reported a possible allergic reaction in connection with this product. There is no safety issue with the product for consumers who are not allergic to walnuts. Customers who purchased the recalled product and are allergic to walnuts should not consume it, but return it to a store for a full refund or replacement. Customers who have questions may call 1-800-KROGERS. 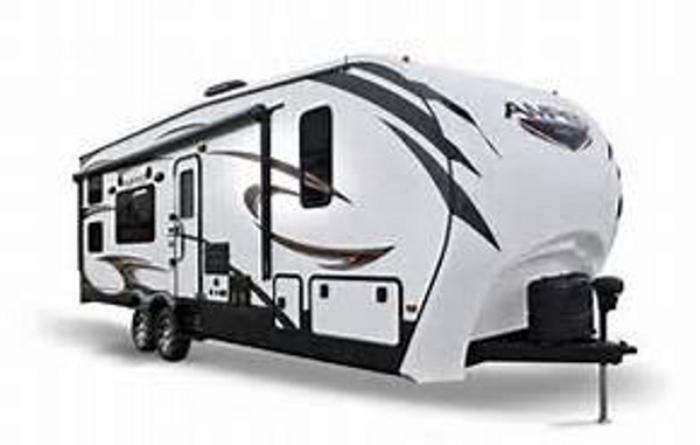 Evergreen Recreational Vehicles is recalling 610 model year 2013-2015 Amped and Amped Reactor recreational vehicles manufactured June 1, 2013, to August 31, 2015. The generator and generator pump in these vehicles may shift during transit, and as a result, carbon monoxide from the generator may fill the passenger cabin when the generator is running. That would put occupants at a risk of injury. Evergreen will notify owners, and dealers will inspect the vehicles and correct the generator installation, as necessary, free of charge. The manufacturer has not yet provided a notification schedule. Owners may contact Evergreen customer service at 1-574-825-4298. Classic Characters of Quebec, Canada, is recalling about 4,000 pairs of infant Elf Booties. The company has received two reports of the pompoms detaching from the shoes. No injuries have been reported. 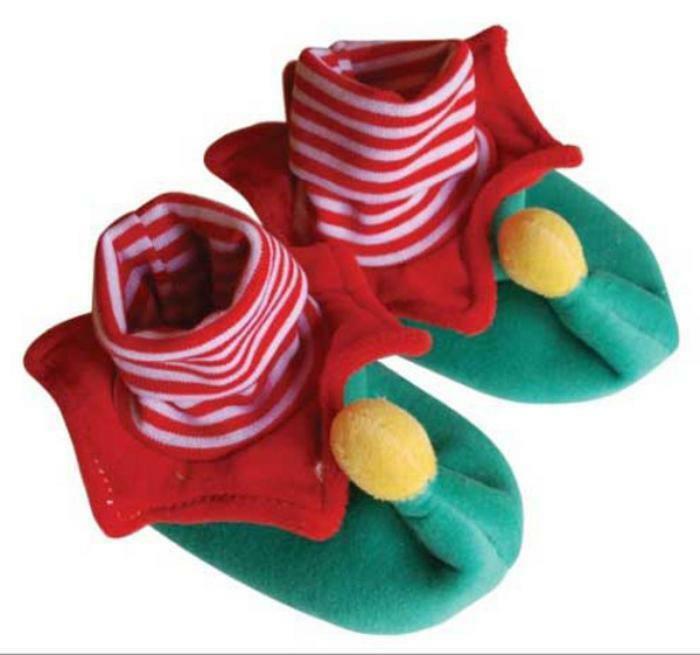 This recall involves Classic Characters’ infant knit Elf Booties sold in sizes 6 through 12 months. The SKU number 507665 and style number 28046 are printed on the price tag. The infant booties are green, with red and white trim, and a yellow pompom on the tip of the toe. The bootoes, manufactured in China, were sold exclusively at Cracker Barrel Old Country Stores nationwide and online at www.crackerbarrel.com from September 2015, through November 2015, for about $13. Consumers should immediately stop using the recalled elf booties and return them to a Cracker Barrel Old Country Store for a full refund, or contact Classic Characters for instructions on returning them for a full refund. Consumers may contact Classic Characters toll-free at 866-274-3452 from 9 a.m. to 5 p.m. (ET) Monday through Friday, or online at www.classiccharacters.com and click on “safety notice” for more information. 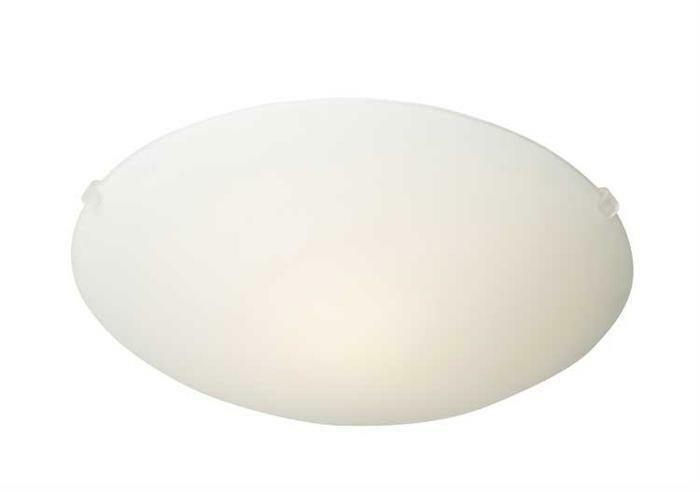 IKEA North America Services of Conshohocken, Pa., is recalling about 1.267 million HYBY and LOCK ceiling lamps in the U.S. and Canada. The company has received 224 reports of incidents worldwide of retaining clips breaking and glass shades falling from the lamps, including 11 with injuries. Three incidents with no injuries were reported in the U.S. The lamps have domed white frosted glass shades and three plastic clips that attach the shade to steel electrical lamp housings. The HYBY has a shade that is 15 inches in diameter and decorated with four opaque concentric lines. The lamp housing holds two light bulbs. The LOCK has a shade that is 10 inches in diameter. The lamp housing holds one light bulb. Type number and the model name of the lamps are on a label attached to the electrical lamp housing. The HYBY is type number T1011 and the LOCK is type number T0201. The lamps, manufactured in China, were sold at IKEA stores worldwide and online at www.ikea-usa.com from October 2012, through January 2016, for about $13 for the HYBY ceiling lamp, and from November 2002, through January 2016, for about $5 for the LOCK ceiling lamp. Consumers may contact IKEA toll-free at 888-966-4532 anytime or online at http://www.ikea.com/us/en/about_ikea/newsitem/020916_recall_HYBY_LOCK_ceiling_lampfor more information. 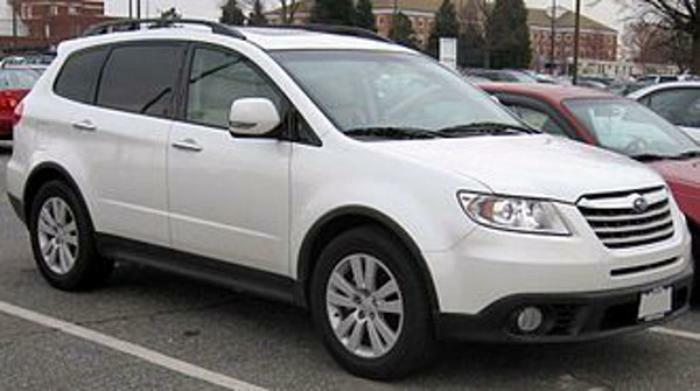 Subaru of America is recalling 77,000 model year 2006-2014 Tribecas manufactured November 16, 2004, to January 27, 2014. Due to a possible malfunction of the hood safety and lock system, the hood may open unexpectedly while the car is a being driven interfering with the driver's visibility and increasing the risk of a crash. Subaru will notify owners, and dealers will complete this recall in two phases. Phase one will involve inspection, cleaning, and lubricating the hood safety and hood lock systems. If after this is performed the hood latch does not operate properly, it will be replaced with a new current style part. Phase two will involve installing an improved hood safety system and hood lock system. Owners may contact Subaru customer service at 1-800-782-2783. Subaru's number for this recall is WQX-59 (phase one) and WQY-60 (phase two). 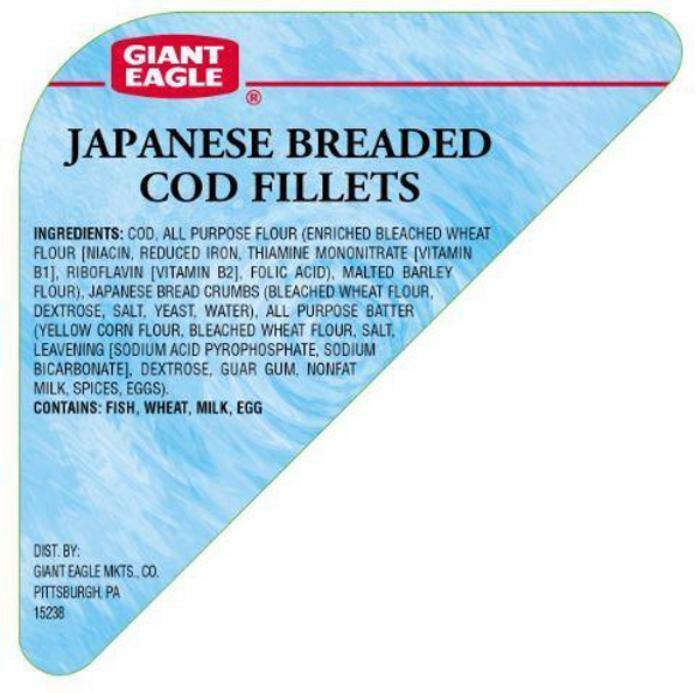 Giant Eagle is recalling all lot codes up to and including February 8, 2016, of Giant Eagle brand Japanese Breaded Cod Fillets, prepared and sold from the seafood department inside Giant Eagle and Market District supermarkets through February 4, 2016. The product contains soy, an allergen not listed on the label. Approximately 420 packages of Japanese Breaded Cod Fillets with a UPC beginning with 268106 were purchased by customers in the seafood department of Giant Eagle and Market District supermarkets in Pennsylvania and Ohio. 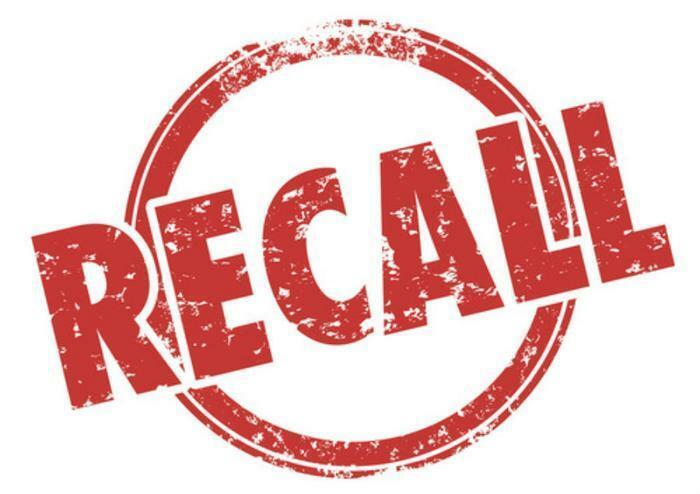 Customers with a soy allergy who purchased the recalled product should dispose of it or return it to their local Giant Eagle or Market District store for a refund. Customers with questions may call Giant Eagle customer care at 1-800-553-2324 Monday through Friday 9 a.m. to 9 p.m. (EST). Vosges, LTD of Chicago, Ill., is recalling approximately 135 pounds of Uncured Bacon Ganache chocolate products. 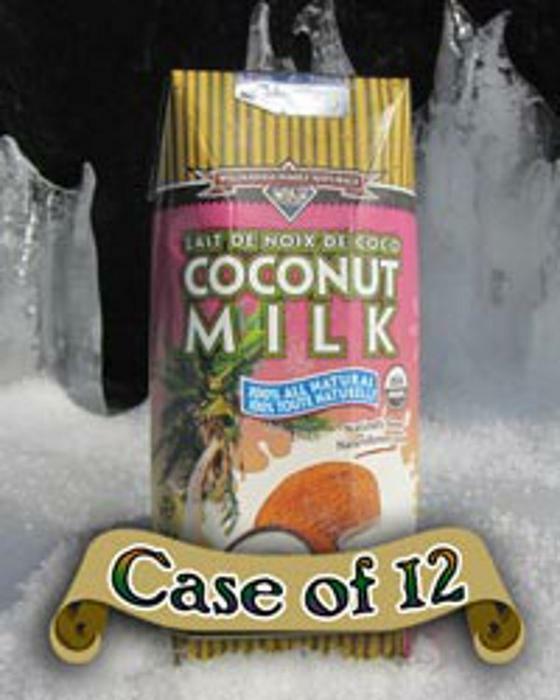 The products contain coconut, an allergen not listed on the label. 135-lb. (720 bars) individual paper carton containing 3oz. 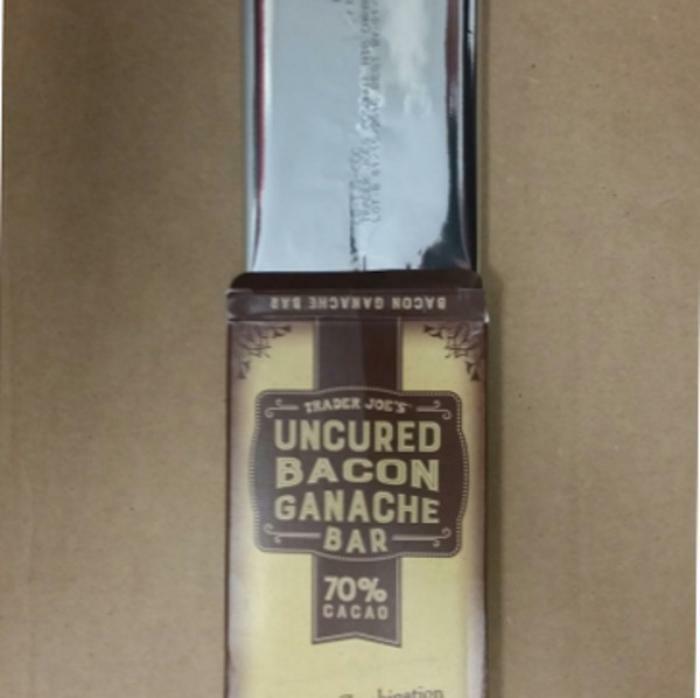 flow wrapped bars of “Trader Joe’s Uncured Bacon Ganache Bar” (SKU 55001). The recalled products bear establishment number “EST. 34647” inside the USDA mark of inspection, and were shipped to retail locations in Florida, Georgia, North Carolina and South Carolina. Customers who have these products should not consume them, but throw them away or returned them to the place of purchase. Consumers with questions about the recall may contact Natalie Markoff at the Markoff Group at (646) 688-5254. 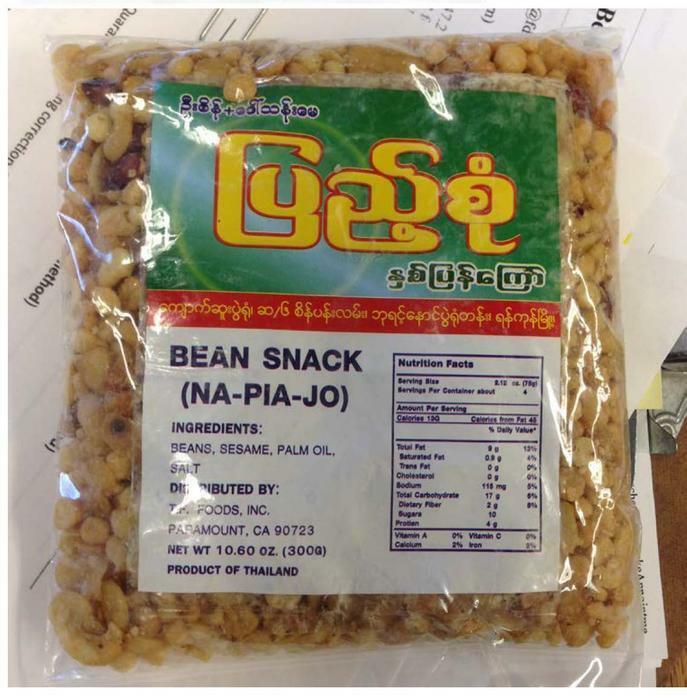 TF Foods of Paramount, Calif., is recalling "Fried Bean Snack (Na-Pia-Jo)" food treats. The recalled product comes in a 10.60-oz., clear plastic bag and was distributed nationally in retail stores between November 2015, and beginning of February of 2016. Consumers with questions may contact John Pantaya at TF Foods at (562) 220-2666 Mon-Fri 10am-4pm (PST). 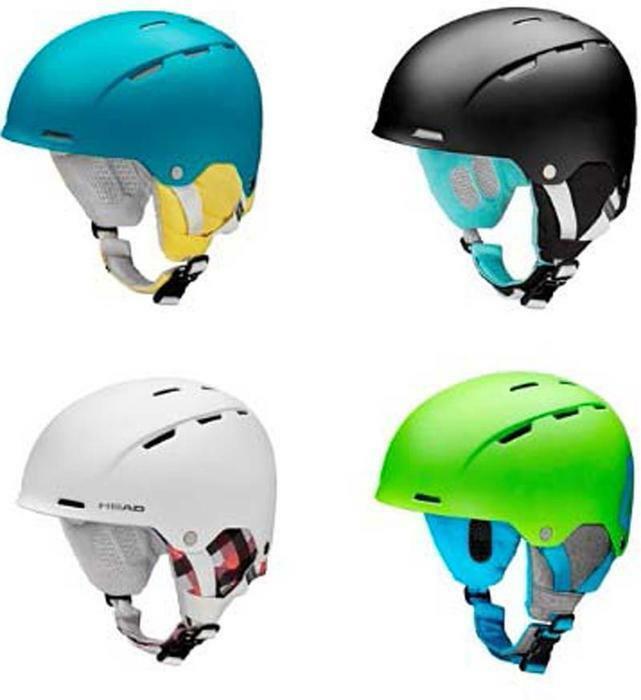 Head USA of Boulder, Colo., is recalling 440 ski and snowboard helmets in the U.S. and Canada. The helmets do not comply with the impact requirements of safety standards for helmets, posing a risk of head injury. This recall involves six models of HEAD ski and snowboard helmets: Agent, Alia, Andor, Arise, Arosa and Avril. They were sold in sizes M/L and XL/XXL in black, blue, green white and yellow, with straps in a variety of colors. HEAD, the model name, size and “Production Code: Dec. 2014” are printed on stickers that can be found by lifting the lining above the right earpiece. The helmets, manufactured in Taiwan, were sold at specialty ski and snowboard shops and online from January 2015, through December 2015, for between $80 and $120. Consumers should immediately stop using the recalled helmets and contact Head USA to receive a free replacement helmet. Consumers may contact Head USA at 800-874-3235 from 9 a.m. to 7 p.m. ET Monday through Friday or online at http://www.head.com/index.php?id=1313. CE North America of Miami, Fla., is recalling about 28,000 KUL fan heaters in the U.S. and Canada. The company has received four reports of the fan heaters overheating and catching fire. No injuries have been reported. 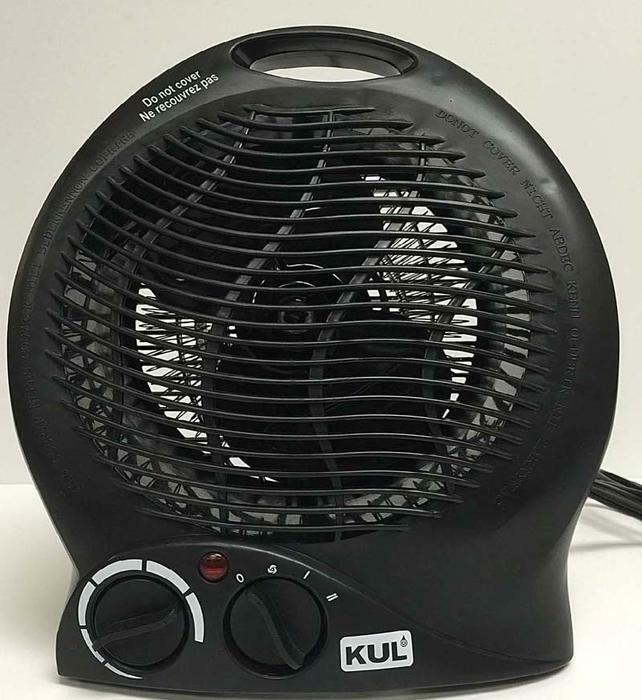 This recall involves KUL small, black portable fan heaters. The KUL logo is printed on the front bottom of the heaters next to the power dial. The fan heater measures about 9 inches long by 5 inches wide by 10.5 inches tall, and weighs about two pounds. An adhesive label is on the bottom of the heater with model number “KU39229” and “Date: 0515” in the lower right-hand corner. The fans, manufactured in China, were sold exclusively at Bed, Bath & Beyond stores nationwide and online at www.bedbathandbeyond.com from August 2015, through October 2015, for about $20. Consumers may contact CE North America toll-free at 844-645-3208 from 8:30 a.m. to 5:30 p.m. (ET) Monday through Friday, by email at productrecall@cemglobal.com or online at www.cemglobal.com and click on the “Product Recall” link at the bottom of the page for more information. BJ's Wholesale Club is recalling Cittero Mortadella and deli meats sold from January 20 through February 3, 2016. The products may have been exposed to pistachio, an allergen not listed on the label. The Citterio Mortadella is being recalled because it may contain undeclared pistachios. Deli meats that may have come in contact with the same equipment as the Citterio Mortadella are also being recalled. See attached list of affected deli meats. These sliced deli meats are sold in individual service bags. The following recalled deli meats were sold in individual service bags at BJ's locations in Delaware, Maryland, New Jersey, New York, North Carolina, Ohio, Pennsylvania and Virginia. Customers who purchased the recalled products and have an allergy to pistachio nuts, should throw them away, and can visit their local BJ's with their receipt for a refund. If the customer has no receipt, a BJ's employee can look it up. Consumers with questions may contact BJ's at 800-896-0847 from 9 AM to 7 PM (EST) Monday – Friday, 9 AM to 6 PM (EST) Saturday, and 12 PM to 6 PM (EST) Sunday. Lutron Electronics of Coopersburg, Pa., is recalling about 35,000 roller shades in the U.S. and Canada. The window shades can become dislodged from their brackets and fall, posing an impact hazard. The company has received 36 reports of incidents of shades falling from mounting brackets. No injuries have been reported. The model numbers are printed on a white label located on the shade battery rail, the equivalent support backbone for plug-in & manual shades, or on the inside of the shade fabric wrapped head rail or valance (fascia). The majority of the shades are battery-operated and controlled by a Lutron remote control. Some of the models are plug-in and some are manual. All of the models are cordless. The shades, manufactured in the U.S., were sold at Home Depot, Lowes, specialty window shading dealers and online at SerenaShades.com from November 2013, through November 2015, for between $280 and $2,400. 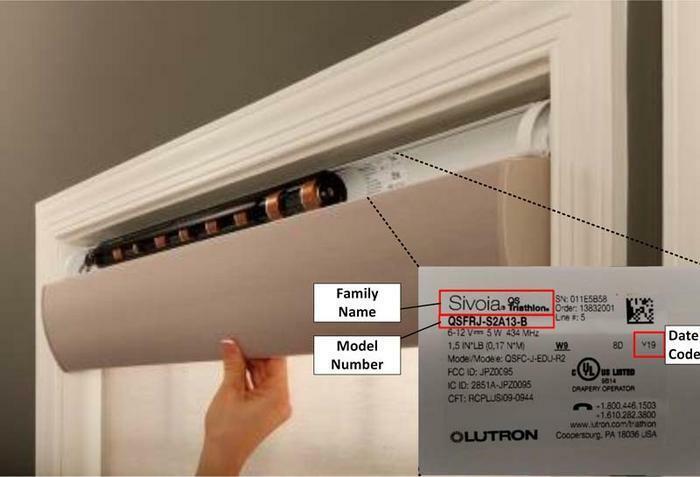 Consumers should contact Lutron immediately for instructions on inspecting their roller shades and to receive a free repair kit to prevent the shade from falling. Consumers with recalled roller shades installed on doors should contact Lutron to receive a free replacement shade. Consumers may contact Lutron Electronics toll-free at 844-478-2033 from 8 a.m. to 5 p.m. (ET) Monday through Friday, or online at www.lutron.com/safetynotice for more information. 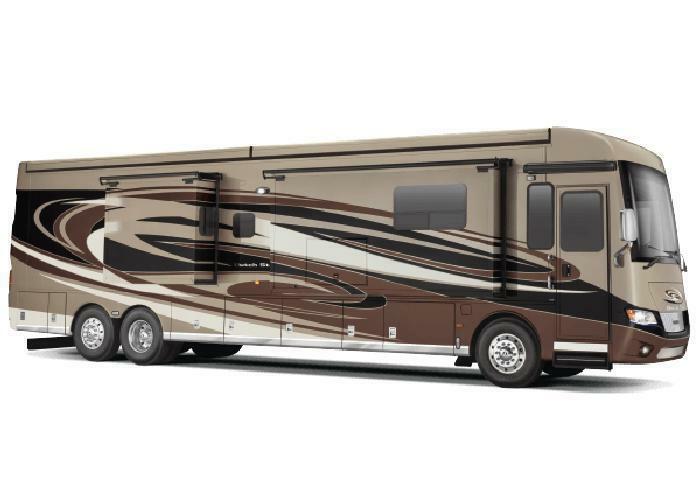 Winnebago Industries is recalling 359 model year 2015-2016 Winnebago Travato, Trend, and Itasca Viva! motor homes manufactured February 27, 2015, to January 6, 2016. The vehicles have an ignition switch that may experience an intermittent loss of electrical contact, which can result in a vehicle stall and/or a partial or complete loss of the air bags, anti-lock brakes, electronic stability control and/or instrument panel cluster. Loss of functionality of these systems may increase the risk of crash and/or increase the risk of injury in the event of a crash. FCA US (Chrysler), manufacturer of the motorhome chassis, will notify owners, and Chrysler dealers will replace the ignition switch contact holder block, free of charge. Owners were sent interim notices in January 2016, and will receive a second notice when remedy parts become available. Owners may contact Chrysler customer service at 1-800-853-1403 or Winnebago customer service at 1-641-585-3535. Scubapro is recalling about 1,500 Galileo Luna and Sol Dive computers. Scubapro has received three reports of the dive computer screens freezing. No injuries have been reported. The recall includes the 2015 models of UWATEC Galileo Luna and Sol dive computers. Only dive computers with the following serial numbers are included in the recall. Galileo LUNA dive computers have serial numbers 150422 0058 001 to 150903 0338 005 and Galileo SOL dive computers have serial numbers 150423 0202 001 to 150921 0001 005. The serial number is stamped on the back of the computer and printed on a label on the product packaging. The computers, manufactured in Indonesia, were sold at authorized Scubapro dealers nationwide from May 2015, through January 2016, for between $700 and $1,200. Consumers should immediately stop using the recalled dive computers and contact Scubapro to arrange for a free replacement dive computer. Consumers may contact Scubapro at 800-790-3757 from 8 a.m. to 5 p.m. (PT) Monday through Friday or online at www.scubapro.com and click on “Galileo Recall” for more information. Royal Appliance Mfg. Co., of Glenwillow, Ohio, is recalling about 159,000 Dirt Devil Total Pet Cyclonic Upright vacuums in the U.S. and Canada. The vacuum’s electric cord plug prong can detach and remain in the electrical outlet when the vacuum is unplugged. The detached prong can pose an electrical shock hazard if it remains connected with the electrical outlet. The firm has received 14 reports of a detached prong that remained in an electrical outlet. No injuries have been reported. The recall includes three models of the Dirt Devil Total Pet Cyclonic Upright vacuums, model UD70210, UD70210CA and UD70210RM. The model number and manufacture date code are printed on a silver label on the back side of the vacuum. The vacuums are identical with black, gray and clear housing with red and purple trim. “Total Pet” is printed underneath the Dirt Devil logo in the center of the vacuum. Only vacuums with the first three digits of the four digit manufacture date code that begin with B14 through I15 are included in the recall. All recalled vacuums were manufactured between February 2014 and September 2015. 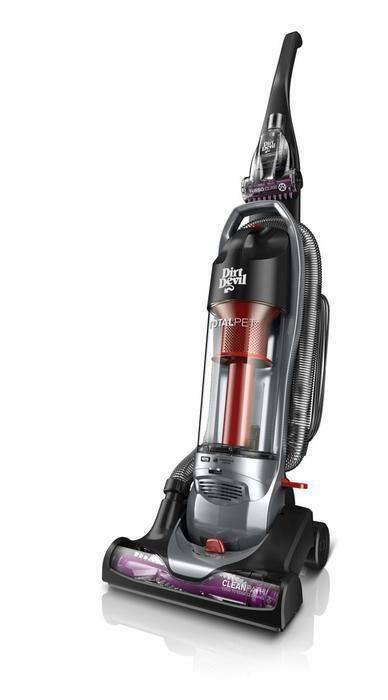 The vacuums, manufactured in China, were sold at ABC Warehouse, Boardman Furniture, Fred’s, Walmart stores nationwide, Dirt Devil via telephone and online at www.dirtdevil.com, www.ebay.com and www.walmart.com from February 2014 through November 2015 for between $45 and $70. Consumers should immediately stop using the recalled vacuums and contact Dirt Devil for instructions on receiving a free replacement. Consumers may contact Dirt Devil at 800-373-6290 from 8 a.m. to 6 p.m. (ET) Monday through Friday or online at www.dirtdevil.com and click on the “Support” tab at the top of the page for more information. European Natural Food & Trading Co., of Paterson, N.J., is recalling 83-oz. containers of Brian's Cauliflower. The product contains sulfites not listed on the label. The recalled pickled cauliflower was sold in large. clear, glass jars with the brand name Brian's and the UPC 858567002421. The product, which has an expiration date of November 28, 2015, was shipped in 2013 and 2014 and distributed for retail-store sales in New York, Massachusetts, Connecticut and New Jersey. Consumers with questions may contact the company at (973) 553-1896, Monday - Friday from 9am - 5pm (ET). Microsoft of Redmond, Wash., is recalling about 2.4 million AC power cords for Surface Pro devices in the U.S. and Canada. The power cords can overheat, posing fire or shock hazards. The company has received 56 reports of AC cords overheating and emitting flames and five reports of electrical shock to consumers. This recall involves AC power cords sold with Microsoft Surface Pro, Surface Pro 2 and Surface Pro 3 computers before March 15, 2015. This recall also involves accessory power supply units that include an AC power cord sold separately before March 15, 2015. The recalled power cords do not have a 1/8-inch sleeve on the cord on the end that connects to the power supply. 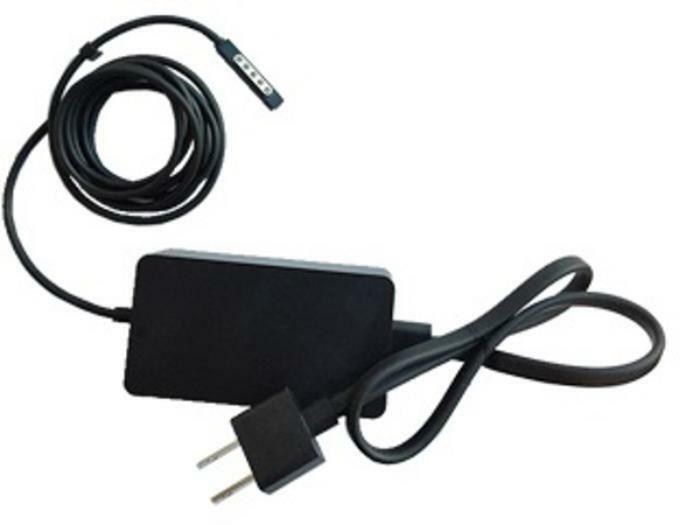 The AC power cords, manufactured in China, Taiwan and the U.K., were sold at Microsoft stores, Best Buy, Costco and other stores nationwide, and online at www.microsoft.com, from February 2013, through March 15, 2015, for between $64 and $80. Consumers should unplug and stop using the recalled power cords and contact Microsoft for a free replacement AC power cord. 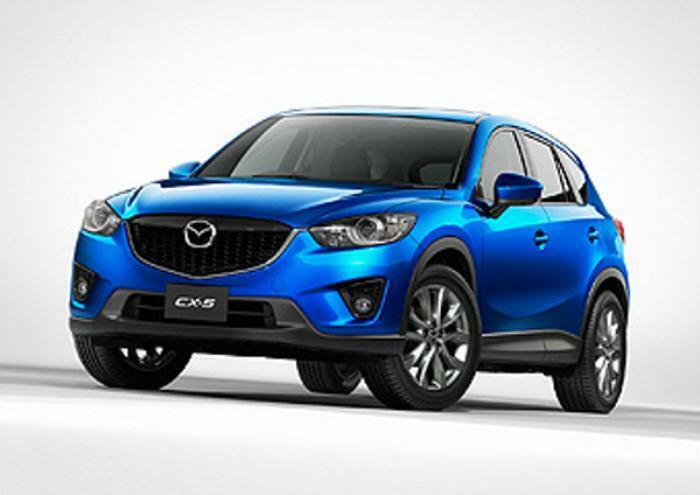 Mazda Motor Corporation is recalling and stopping the sale of model year 2014-2016 CX-5 vehicles. The fuel filler pipe could rupture during a rear collision, and potentially cause fuel leakage. Approximately 264,463 vehicles are affected in the U.S. There are no reports of accidents or injuries occurring as a result of this condition. Dealers will offer a free loaner, demo, or rental vehicle to customers concerned about driving their vehicle before the repair is available. Consumers with questions may contact Tamara Mlynarczyk at 202-467-5092 or Jeremy Barnes at 949-727-6844. Forest River is recalling 56 model year 2016 Coachmen Cross Country vehicles manufactured May 26, 2015, to December 2, 2015. During suspension travel, the front tires may be damaged from contacting the fuel fill guard. A tire contacting the fuel fill guard may be damaged and deflate, resulting in a loss of vehicle control and increasing the risk of a crash. Forest River will notify owners, and dealers will install a revised fuel fill guard that will not contact the tires. Any tire that shows sign of contact with the fuel fill guard will be replaced. These repairs will be performed free of charge. The recall is expected to begin March 10, 2016. Owners east of the Mississippi river may contact Forest River customer service at 1-574-825-8317. Owners west of the Mississippi river may contact Forest River customer service at 1-574-825-8305. Forest River's number for this recall is 310-01112016-0126. GMAX Helmet is recalling 2,915 GM78 Fullface helmets, size medium, manufactured January 1, 2012, to December 30, 2014. The helmets may not adequately protect a user in the event of a crash. As such, they fail to comply with the requirements of Federal Motor Vehicle Safety Standard (FMVSS) number 218, "Motorcycle Helmets." An individual's head may not be fully protected when wearing this helmet, increasing the risk of injury in the event of a crash. Owners may contact GMAX customer service at 1-208-376-8400. 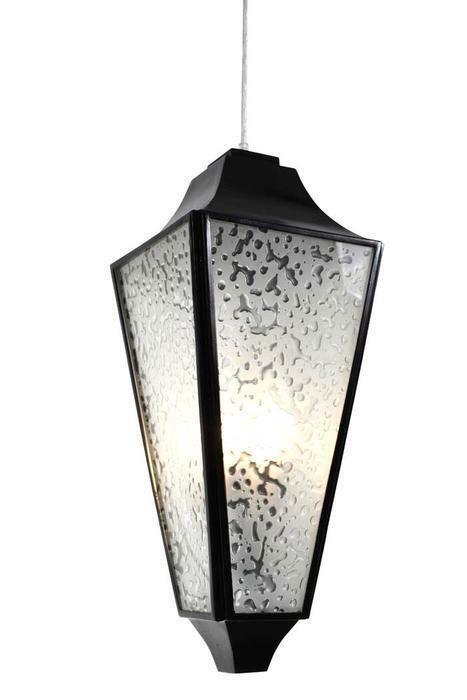 Varaluz of Las Vegas, Nev., is recalling about 80 Longfellow lighting fixtures for indoor and outdoor use. The firm has received two reports of lights bulbs shorting. No injuries have been reported. This recall involves all Longfellow model 3- and 4-light light fixtures for indoor or outdoor use. The black metal fixtures have a clear/frosted glass shade on four sides and can be wall mounted or ceiling mounted. Model number 731KL04EB, 731KM03EB, 731P03EB, 331P03BL, 731P03EB or 331P04BL is printed on the label on the canopy of the ceiling mounted fixtures or the backplate of wall mounted fixtures. The light fixtures, manufactured in the Philippines, were sold at lighting showrooms nationwide and online through lighting and home improvement websites from April 2013, to September 2015, for between $320 and $420. Consumers should immediately discontinue use of the fixtures until replacement units are available. Consumers should contact Varaluz for a replacement light fixture or a refund. Consumers may contact Varaluz collect at 702-792-6900 from 8 a.m. to 5 p.m. (PT) Monday through Friday, by email at customerservice@varaluz.com, or online at http://www.varaluz.com/blogs/news/71700101-varaluz-longfellow-product-recall-bulletin. i play. of Asheville, N.C., is recalling about 68,300 green sprouts glass food cubes in the U.S. and Canada. The firm is aware of 23 reports of incidents. No injuries have been reported. 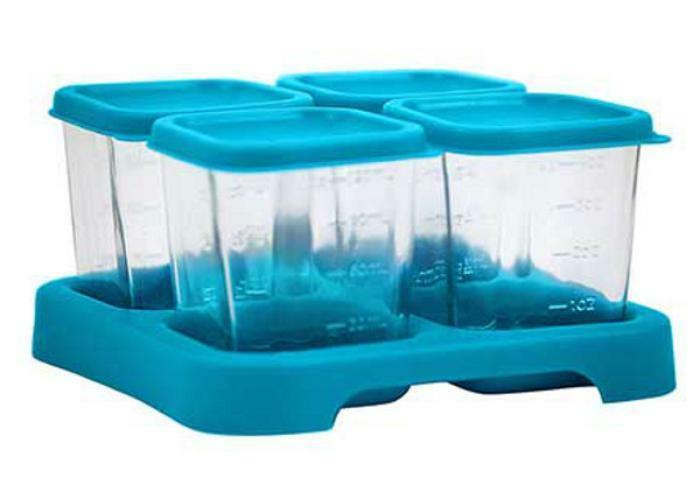 The recalled glass food storage cubes are sold in a set of four with colored, rubberized plastic lids and fit into one storage tray. The cubes are sold in 2-ounce and 4-ounce sizes. The lid colors and trays of the affected lot of 2-ounce cubes include blue, green and pink. The lid colors and trays of the affected 4-ounce cubes include blue, green, pink and yellow. “green sprouts” is molded into each plastic lid, on edges of the matching plastic storage tray and on the bottom of each quadrant of the storage tray. The containers, manufactured in China, were sold at buybuy Baby and Whole Foods nationwide and online at amazon.com, babyhaven.com, diapers.com, drugstore com and target.com from June 2015, through December 2015, for about $15 for the 2-ounce size and $20 for the 4-ounce size. Consumers may contact i play. at 800-876-1574 from 9 a.m. to 5 p.m. (ET) Monday through Friday, by email at contactus@iplaybaby.com or online at http://iplaybaby.com/whole-baby-resource/2015/12/21/glass-food-cubes-recall/. 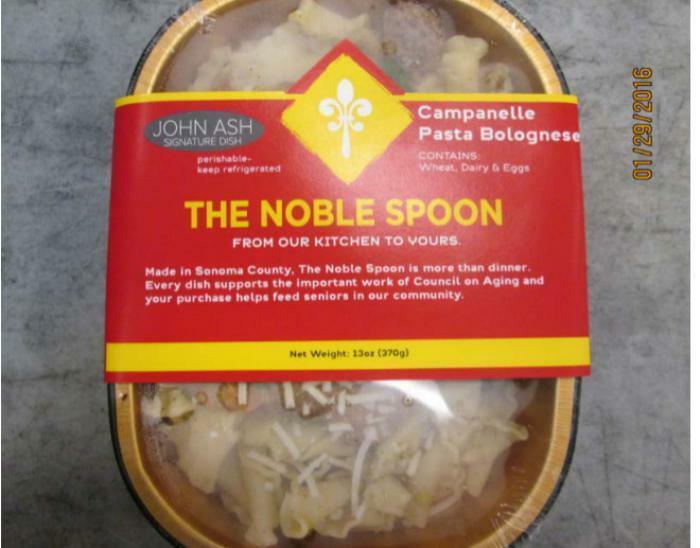 The Noble Spoon of Santa Rosa, Calif., is recalling approximately 289 pounds of beef and chicken entree products. The products did not undergo federal inspection and do not have a federal mark of inspection. The recalled products have the Sell-by dates of “02 03” or “02 04” printed on the back of the package, and were shipped to retail locations in Marin and Sonoma counties in California. Consumers with questions may contact Charles Lindner at (707) 525-0143, ext. 131. Gulf Stream Coach is recalling 662 model year 2008-2011 Caribbean, Yellowstone and Independence, 2008-2009 Crescendo, Sun Voyager, and Toy Hauler, 2008 Sun Sport, 2008-2010 Tour Master, 2010 B Touring Cruiser, 2010-2011 Conquest, 2009-2010 Conquest Super C and Super Nova, 2009 Endura and Gladiator motor homes manufactured August 1, 2007 to September 30, 2010. The recalled vehicles are equipped with Lippert-brand Coachstep Double and Triple Electric Steps. The bolt that attaches the fan gear assembly to the steps may fracture allowing the fan gear to disengage from the steps. As a result, the steps may not remain in the expected position and may be unstable, increasing the risk of injury. Gulf Stream will notify owners, and dealers will install a retainer bracket to reinforce the operating mechanism, free of charge. The manufacturer has not yet provided a notification schedule. Owners may contact Gulf Stream customer service at 1-800-289-8787. Gulf Stream's number for this recall is CS070116.